Nelson Bay Tennis ClubAges: 5yrs+ @ Nelson Bay. 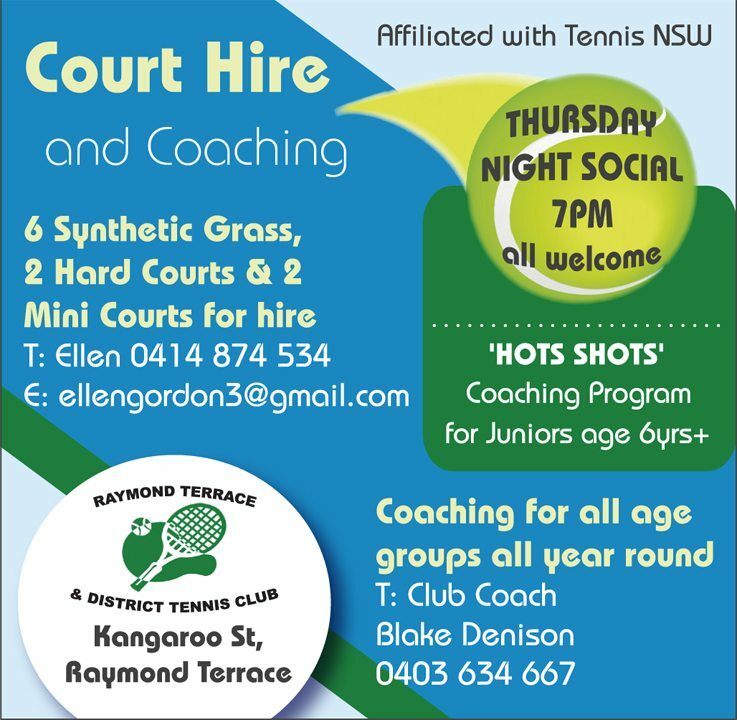 NOTE: Raymond Terrace & District Tennis Club is currently operating with 2 hardcourts and 2 mini courts until repairs are completed to the 6 synthetic grass courts which were damaged during the April storm. We hope to have the grass courts back online soon.